Running every day for 45 years (Mark Covert) Winning the Badwater Ultramarathon twice (Pam Reed) Running 50 marathons in 50 states in 50 days (Dean Karnazes) Setting four world records for most marathons in a calendar year (Larry Macon) Finishing the Badwater Ultramarathon with a prosthetic leg (Amy Winters-Palmiero) These are just some of the incredible and inspiring achievements of the endurance athletes profiled in this book. Each one of them has pushed the limits of human endurance and is an inspiration for people around the world. Their achievements are profiled in individual chapters, each introduced by prominent ultrarunners and friends. In addition to the most prolific endurance athletes in the world today, one section is dedicated to the 'Father of American Ultrarunning,' Ted Corbitt. Including a foreword by his son, Gary Corbitt, and a special section on his life and achievements, the book serves to preserve his legacy. Whether you are an ultrarunner yourself or a casual runner, a fan, a historian, or a scholar, this book and the incredible people and their stories in it will inspire you and ignite your passion for living life to the fullest. Above all, this 'Who's Who' of ultrarunning proves one thing: The impossible is possible! Scott Ludwig lives, runs and writes in the beautiful countryside of Senoia, Georgia with his wife Cindy and their menagerie of cats. 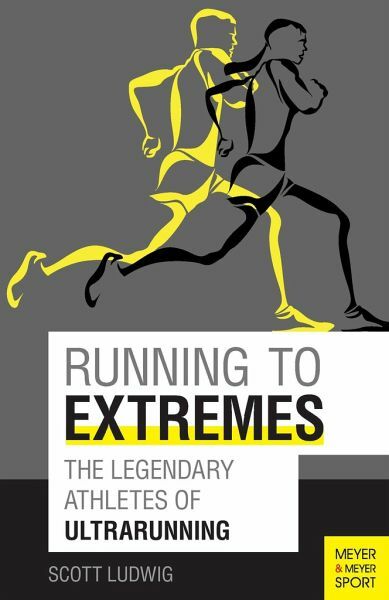 Scott enlisted the aid of several of his friends and fellow runners to compile the stories in Extremes, arguably the best collection of stories about endurance athletes ever published. The 15 people portrayed in this book are sure to leave readers with their eyes and mouths wide open, completely fascinated with what the subjects have been able to accomplish in the sport of endurance running.